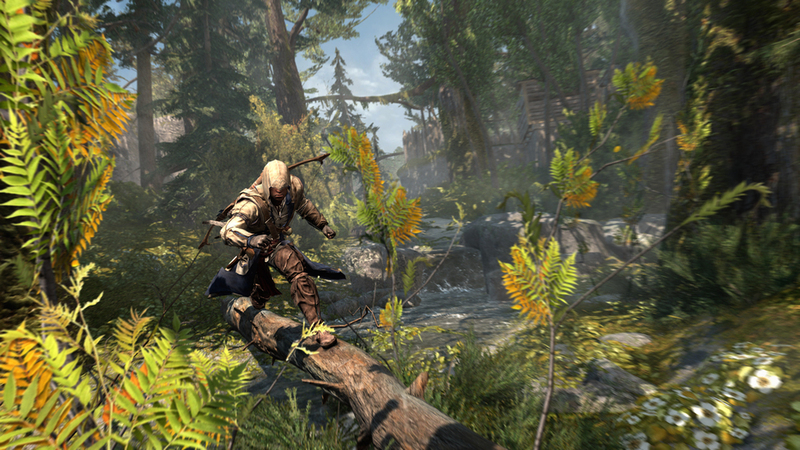 Where did Assassin's Creed 3 Go Wrong? Imagine having tickets to the rock concert of the decade. You've been following your favorite band through their highs and lows, their major studio releases and their B-sides and backroom jam sessions. You've defended them to critics, recommended them to people searching for something new, and even once considered getting their logo tattooed somewhere that your parents or children, will never see. The day finally arrives. You get in line early, face painted and ready to rock out. The band comes on stages, the energy is pumping, the crowd is a powder keg ready to explode. And then, when all manner of awesome is about to be spewed from the stage in all it's glorious rock majesty, the band tosses their guitars, drumsticks and mics to the floor and revealed that their entire collection of music was now going to be rendered from twenty year old Casio keyboards. This is not what you signed up for, and "letdown' doesn't do the situation justice. This is exactly how I feel about Assassin's Creed 3. Let's take a moment to get one thing clear. 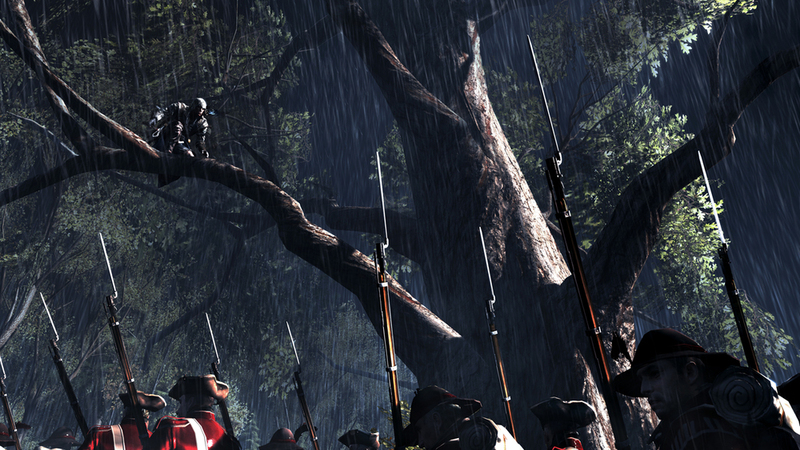 Assassin's Creed 3 is not a bad game. It's far from it. Unforutunately, it's also just as far from being a good game as well. There are two ways that Assassin's Creed 3 careens towards the ground in a fiery inferno: It's buggy as hell, and the story falls apart about halfway through towards an inevitable lack of a payoff. Where's the rest of that tree? As someone who's often purchased day one games, I understand that there are certain issues that aren't fixed in time for release. To combat that, often day-one patches as released as well. Assassin's Creed 3 had a day-one patch, and it scares me to think of what the game would have been without it, seeing as there were so many bugs that still got through. The bugs were large and small, rare and constant. Broken lip synching, lack of mouth movement when speaking, outfit changes when cutscenes launched, day changing to night or vice versa when cutscenes launched, invisible walls when running, disappearing weapons when fighting, disappearing trees when climbing, faulty rag-doll physics, just to name a few. So many of these issues took me out of the game, killing momentum and enjoyment. On more than three occasions, I had to restart my PS3 in order to stop the game from moving at 1/10 speed due to some error, and guards sounding like Jabba the Hutt while yelling at me. What surprised me more than the amount of bugs was that this is not Ubisoft's first Assassin's Creed game. They've had four games (Assassin's Creed, Assassin's Creed 2, Assassin's Creed Brotherhood and Assassin's Creed Revelations) to figure out how to do this correctly, and in most cases, they had. Yet for this iteration, older problems that were once solved have returned, and appeared and worse for wear. There is no reason why a product with this much money behind it, made by a studio who has done this before should have this many issues. Oh look, i'm in a video game! The only way that I can describe how I felt about the story was as if from the beginning to the middle, I was excited following Connor, (the Native American turned Assassin due to a hastily explained inciting plot device early on), as he uncovered a plot to rob the colonials of their freedom. From the middle to the end, my excitement steadily decreased as the plot became more convoluted with little explanation to the characters choices and motivations. Conner's own motivations never stray from revenge for the death of his mother, even when it's only mentioned maybe twice throughout the narrative. His character becomes flat he kills random target after target without much explanation as to how they're connected, or what killing them will do to get him closer to his final goal. Fluff is added between each target, namely throwing random historical figures into Conner's past for no reason other than to say, "Hey, look, it's Benjamin Franklin.... and there he goes....". Conner can eventually recruit displaced, disenfranchised citizens to join his cause and become Assassins, but doing so lacks any feeling of importance. In previous games, the recruits not only took the garb of the Assassins as they advanced (more on this soon), but actually graduated to become Master Assassins. Not so, here. For all intents and purposes, you're a gang, aimless and angry. This leads me to the culture. The Assassin's Creed series did an exceptional job of creating a solid mythos of who the Assassins were, what their goals and Creed were and how it dictated their actions. One of the very first encounters in the first game displayed the importance of understanding one's place in the Assassin society, and how it separated them from their enemy. In his later life, Altier (the protagonist of the first game), and Ezio (the protagonist of the second game game and it's spinoffs) both understood and respected the Creed, the culture and it shapes not only their characters, but the world they move towards. In ACIII, it's established very early on that all that history and all that purpose isn't important enough to validate. Acchiles, the Mentor/father figure even makes mention that there used to be a ceremony for such things, but not anymore. Thank's Acchiles, way to drop the Assassin ball. Whatever the reason that Ubisoft and the writers of ACIII decided to move away from that particular plot thread, I can't deduce. It may seem minor to some, but it serves to tie all these games together. Consider for a moment the title of the game: Assassin's Creed. That creed is what binds the characters from the first game set during the Crusades, to the second game, set in Renaissance Italy. The philosophy of the Assassins is what set them apart from their enemies, the Templars. Without that philosophy, without that purpose and that culture, who are the Assassins other than a band of free running, jumping and stabbing thugs? Oh wait, that's exactly who they are in ACIII. Aside from the actual Creed, and everything that it brought with it, one of the things that made the previous Assassin's Creed games so inthralling was the premise that tied everything together: You are exploring the memories of your ancestors in order to find items of power from a long lost civilization, all while uncovering conspiracy and deception in the modern day. I wish I could come up with something like that. But in the end (spoiler alert), none of it matters. Not a thing you did in any of the previous games, nor this current one, matters at all. The forever war between the Assassins and Knights Templar, the search for Pieces of Eden in order to win said war and save the world from catastrophic destruction, none of it matters at all. None of what you did counted. Do not pass go. Do not collect $200. Some may say that this is an interesting plot twist at the end of the game to make the stakes even higher in the eventual sequel. I can't say that I agree. The last ten minutes of the game are so filled with deus ex machina style exposition that very easily could have been written into the rest of the game that I can only think that the decision was made because something else fell through and Ubisoft was under a hard deadline. I played the last hour of the game hoping and praying that it would get better. I watched through the credits waiting for some redeeming action, yet none came. Again, no, it's not a bad game. 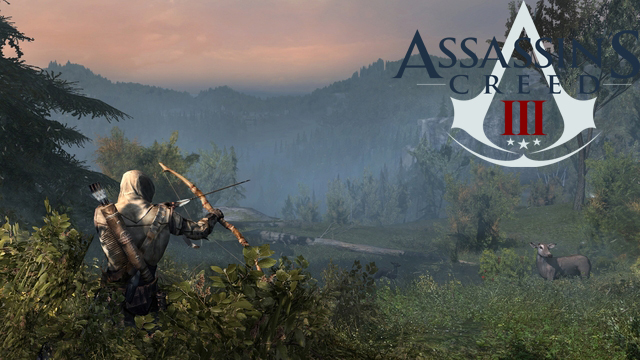 There are many aspects of ACIII that are very very cool. Connor, being Native America and having lived in the "Frontier" (the wooded, untamed areas between colonial cities) can run through the trees (as my girlfriend put it), "like a squirrel". The landscapes are vast, alive and stunning to behold. There are animals to hunt, convoys to attack, forts to destroy, people to help and more. You can pilot a ship in some of the most gorgeous and technically brilliant naval battles I have ever seen (why there isn't a multiplayer version of that, i'll never know), Boston and New York are a wonder to navigate, even though they'll never compare to Rome, Florence, Venice, Nice, Jerusalem or Acre, but the streets are alive with people, both American and British alike that you get the feeling would continue living their lives if Conner didn't run in all stab-happy. 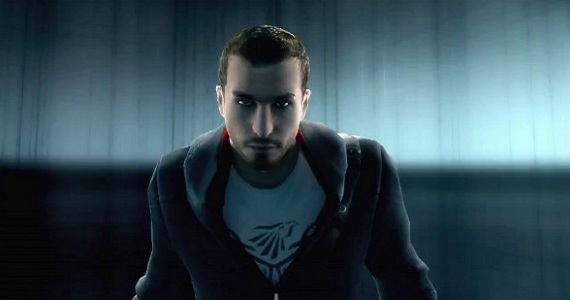 On the modern side, Desmond's story was just as cool as Connor's. Desmond being the vehicle that we use to go into the past, has picked up the abilities of his ancestors through the bleeding effect, and traverses Cairo, Rio and Manhattan in search for items between a few of Connor's missions. To tell the truth, I wish that we spent more time with Desmond than with Connor, as Desmond's story had much more depth. Although I've finished the main game, there are still some extra missions that I'm sure flesh out the story a bit more. I'm sure that i'll complete them, being a completionist, but they won't make me change my opinion of the game overall. And the inevitable downloadable content? I'm sure that'll bring a new dimension to the story, but I'll skip it. Desmond and Conner have lost me. And if you've seen the end, you can tell that none of it really matters anyways.